So, You want to explore all of New Eden? 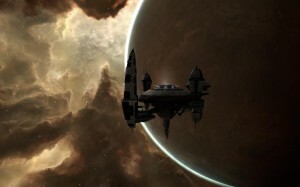 I received some mail recently from a like minded explorer asking about touring all of New Eden. There’s a hand full of us capsuleers who’ve tried this. Some have succeeded and some have failed. It’s a monumental task to be sure, one that is wrought with danger not only from those who would wish you harm, but the internal demons that will haunt you as well. Here’s their letter. I’ve withheld their name for security reasons. 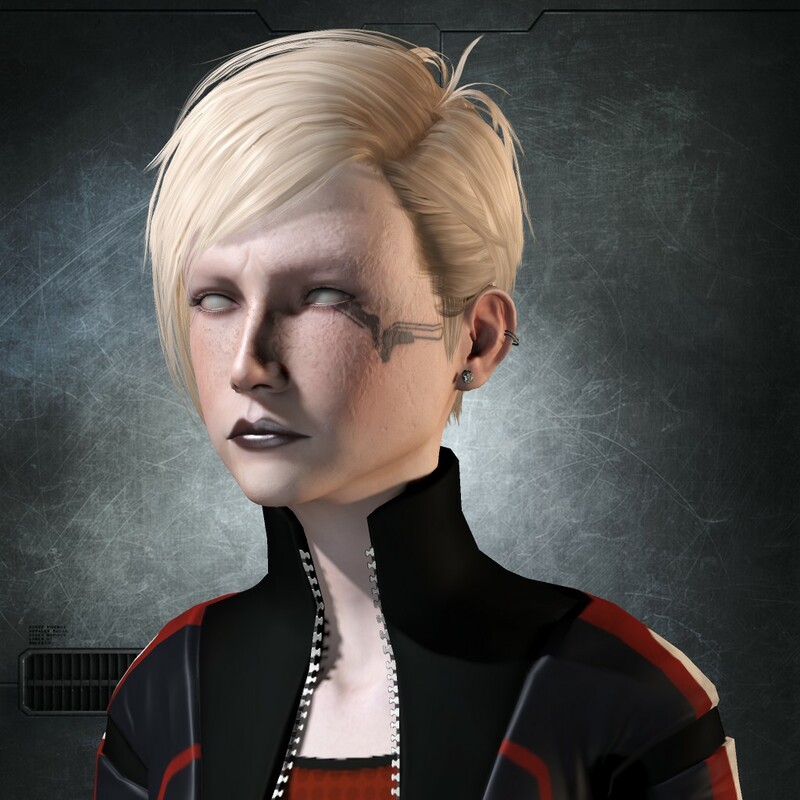 I was considering doing a tour of every system in Eve…starting with Kspace of course, and was told you might be of some help. I’m not even really sure where to start. Is there an easier way to track systems other than ticking them off on a spreadsheet? Is there an optimal route? What should I stop and see on the way? I really have no idea how to get started and any advise you could give would be much appreciated! I’ve been where you are, so I hope I can provide some useful insights to help you get started. Some of it will depend on your approach. Most of those, if not all, that have done it before, have taken the get it done quickly approach and were prepared for the ship losses that would come with that. 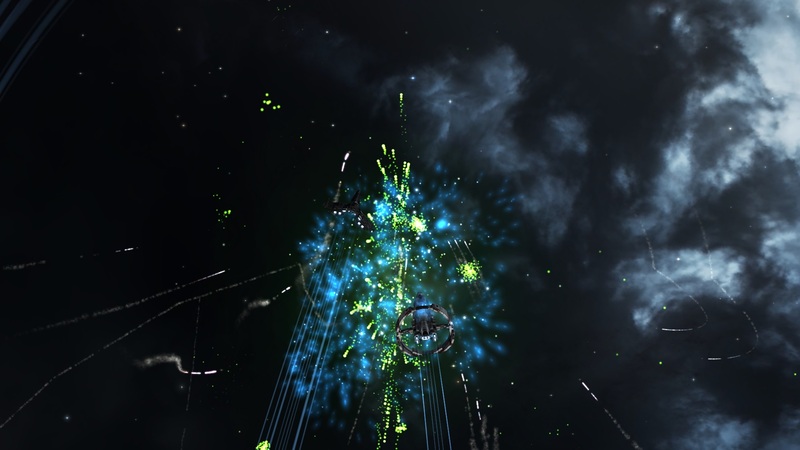 It usually takes about 3 months to do all of K-Space with that approach, including Null Sec. There have been a handful of folks who’ve completed it, but most give up. There’s nothing wrong with that approach either, just depends on what your goal is. 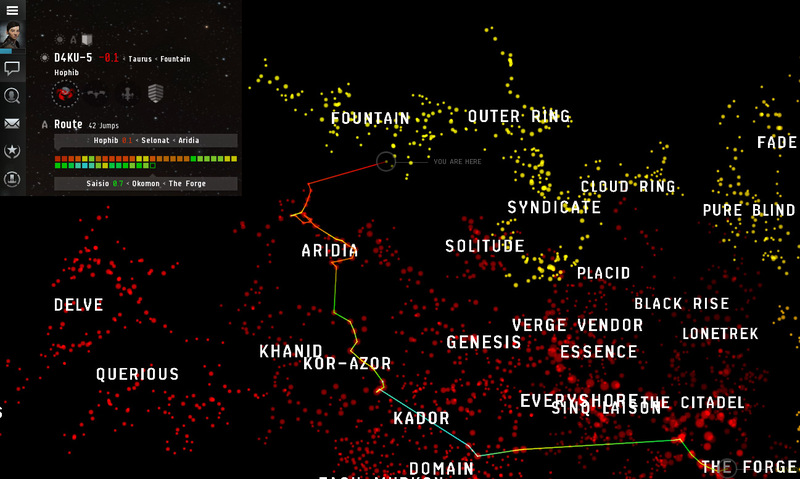 To see if you can, want to see the cluster, etc. I took a very different approach. When I started, the new graphic updates of the nebula backgrounds and planets were being upgraded to what they are today. So, I took a much slower, calculated approach, taking a picture of every planet in every K-Space system. You can see my gallery of that effort here. It took me 3 game years to complete it and I used every tool I could find, like DotLan to help look for game camps, Pirates Little Helper (which I don’t think is around anymore), Eve Who to learn about the folks in the area I was in, etc. Because of that approach, I completed all of K-Space without losing a ship. But it is very slow, tedious, boring, and you have to have a lot of patience and luck. You can check out my blog here where I documented some of my story going along (unfortunately, I lost the early forum post when I started so it’s not the complete journey). You can also check out my flight log here, where you can see the path I took. As to where to start, I’m somewhat of a roleplayer, so I had written up a history of my character and a home world, Saisio in the Forge Region, and just went from there. I just took it region by region, keeping track via a spreadsheet. The one thing I wished I had done, that I didn’t start doing until I started W-Space, was to drop a personal bookmark in every system. That would have been another way to keep track. Please feel free to reach out to me again with any questions. I just say go for it, accept the ship loss before you undock, have 2 or 3 duplicate ships sitting in your hangar ready to go. Be bold, plan ahead, lots of luck, and fly clever! I failed to answer one of their questions which is what to see along the way. Well, that’s an easy one to answer, there’s no better source than Mark726’s Eve Travel. I do wish the best to anyone that takes on this endeavour. It’s quite the acomplishment when you finally finish all of K-Space. I had no idea, well, I had some idea, that W-Space would be the greatest challenge yet. 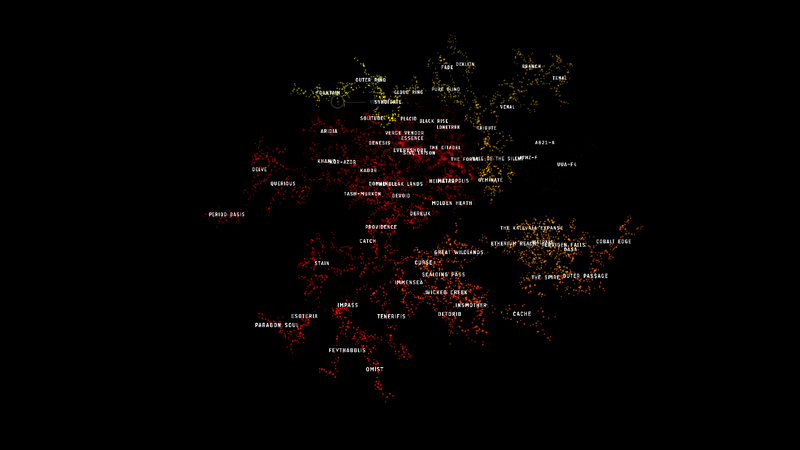 Over 52% of W-Space explored so far on my own journey to explore all of New Eden, making that over 82% overall. 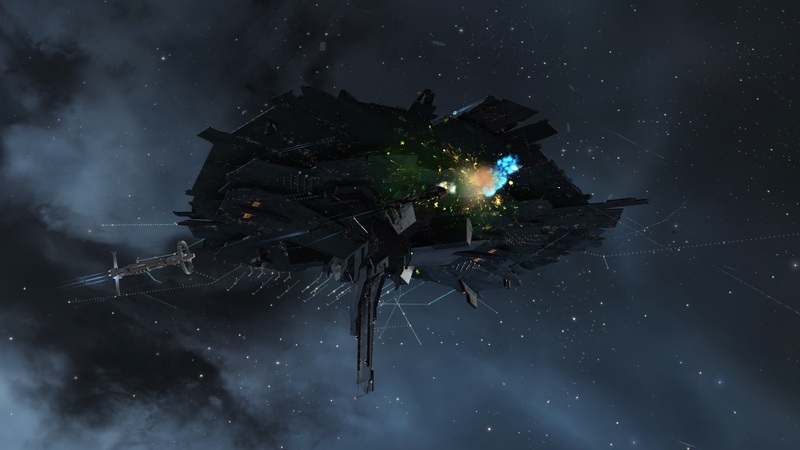 Yesterday, The Evesploratory Society opened another Citadel called EVE Travel Rest Stop in honor of Mark726’s blog EVE Travel. 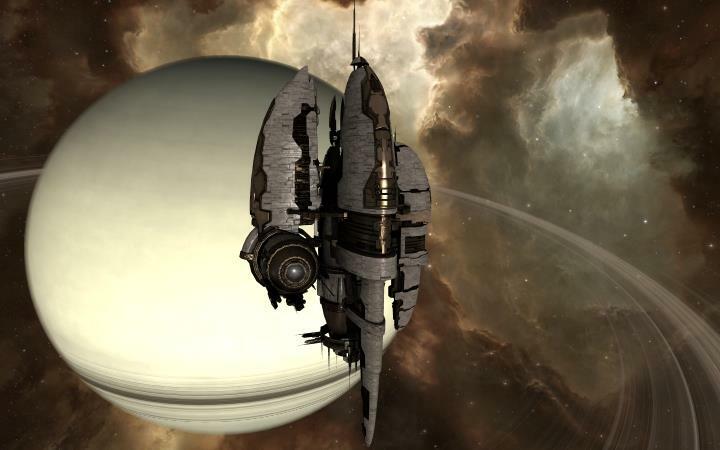 This is not the first citadel opened by the Evesploratory Society, the first, called The Explorers Club, was opened for all explorers of New Eden and is located in orbit around Mista VI. 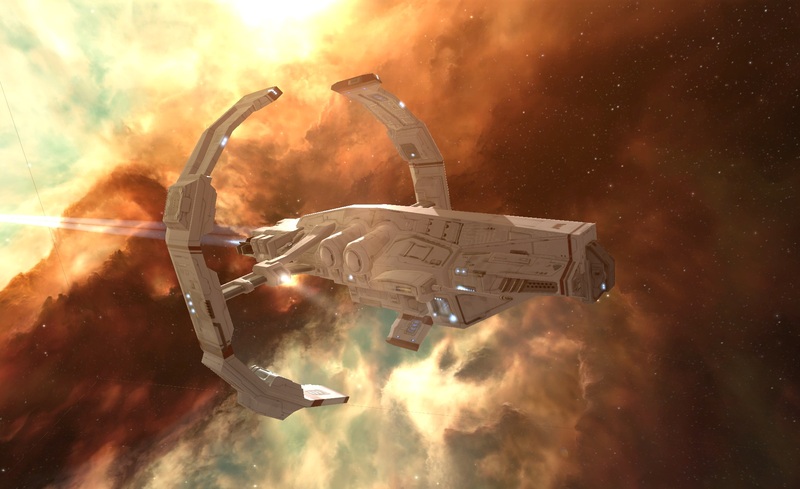 As Mark Vulpine mentioned in his post about the opening of the new citadel, if you’ve been an explorer for any amount of time, then you’ve surely heard of Mark726 and EVE Travel. 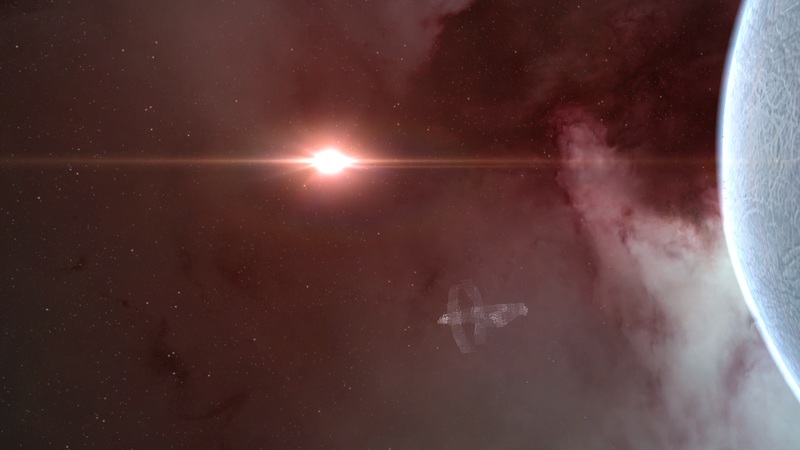 Mark726’s blog about sightseeing in New Eden is top notch, there are none that come close to the level of information, presentation, and professionalism. I’ve often said that his blog is the National Geographic of New Eden whereas mine is more like the Griswold Family Vacation. I interviewed him as part of my New Eden Explorers series which you can read more about him here, New Eden Explorers: Mark726. The new citadel is located in the Jakanerva system in the Forge which is the home system of the Marcus Yeon monument that honors all explorers of New Eden. You can read more about that, you guessed it, here on EVE Travel’s blog. Of course, for the grand opening of the Citadel and ribbon cutting ceremony, the famous (or infamous) Signal Cartel Hugs Fleet was on hand gladly showering Mark726 with fireworks and snowballs of which I took Pioneer out for the festivities. How could I not? 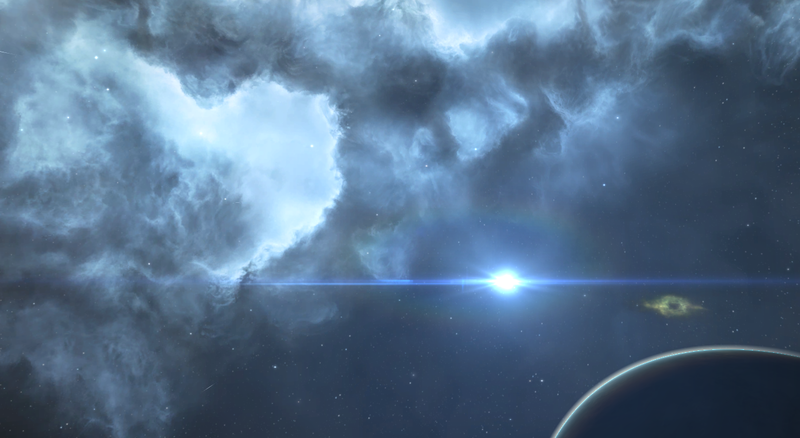 I’m just one of many who’ve been inspired by Mark726’s blog and wanted to show my support and appreciation for his hard work and dedication to the EVE community. Congratulations to Mark726 and a job well done to Markus Vulpine on the opening of Evesploratory’s EVE Travel Rest Stop. As to where have I been lately? 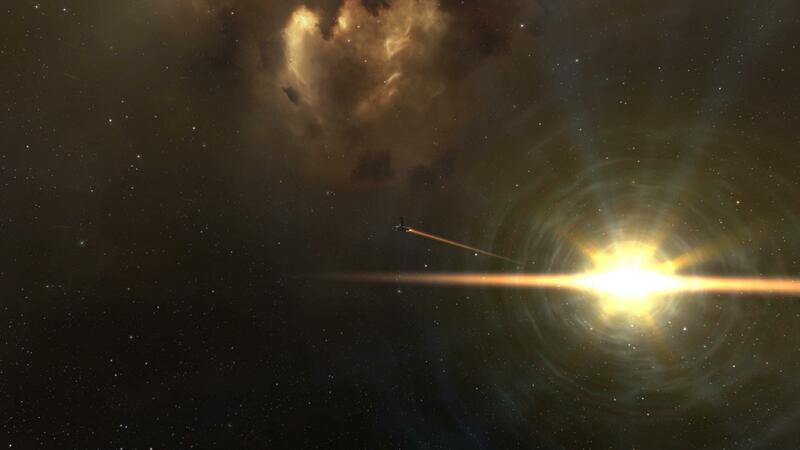 My wormhole exploration journey continues as I’ve recently passed 400 wormholes systems explored. Making that roughly 70% of all New Eden systems visited. My blogging has slowed due to real life stuff going on. I’m finally getting around to analyzing the data for Project “W”, which is where I’m trying to determine just how random finding wormholes systems are or not. I had a lot of Signal Cartel corp mates to help gather the data to possibly help answer the questions that came about from my blog post, W-Space – Why you not random? I’ve learned that I’m not the only one who’s wondered and made similiar observations. I hope to have a blog up on the results of that preliminary data gathering soon. 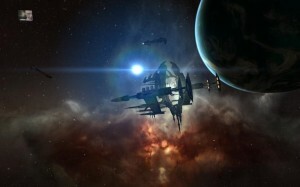 So, I’m still here, quietly wandering around the New Eden cluster, jumping in when and where I can. 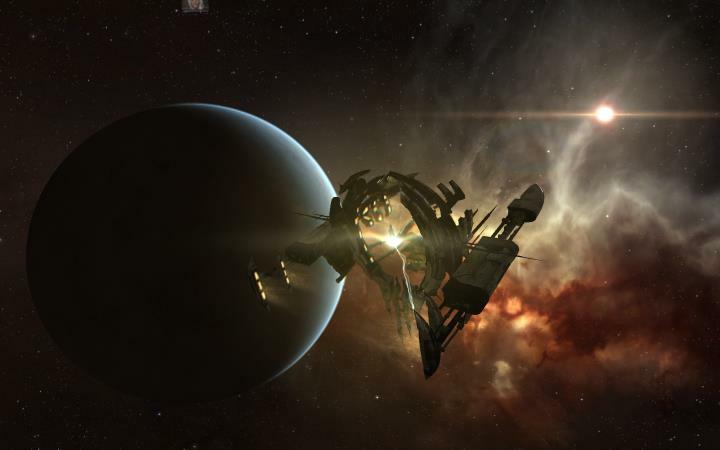 Grand opening: EVE Scout Observatory! G8keeper and Johnny Splunk approached me a couple of months ago with a great idea of starting a Gallery for hosting screenshots. I was thrilled with the idea and when they offered me the opportunity to be the curator, I couldn’t say no for what I know will become a great site of sights. The Observatory will also grow beyond just images, as we’ll try to include links to other exploration resources as well. We kick-started it with our Alliance membership and are now ready to open it to the public for viewing and submissions. With that, it’s my pleasure to introduce the EVE Scout Observatory. I believe it’s fair to say the majority of, perhaps even all, explorers share a common love for the beauty that New Eden has to offer. As we travel the stars, we often try to capture and share the wonders we find along the way with our fellow capsuleers via the images that we take. We post and share them in many different ways on many different sites. There’s no one place to go, no observatory, no gallery that showcases the marvels of our cluster. 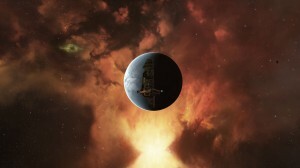 Wouldn’t it be nice to go to one site to peruse images of New Eden? A place where you can download and use images for things such as desktop backgrounds? That’s the idea behind the Observatory. This will be a place for our pilots to share their amazing images with the rest of New Eden. I can’t think of an Alliance or Corp that’s done something like this. 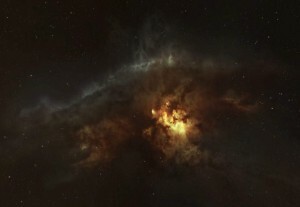 I believe this will be a first and it fits nicely with EVE Scout’s and Signal Cartel’s credo of being a service to all of New Eden and embracing what it means to be a true explorer. With that in mind, as curator, it will be my task to ensure the quality of the gallery. We’re not looking for quantity here, so please, don’t submit images by the cargo load. Only submit images that you are truly proud of and wish to share. Images that you don’t mind if others will download and use. We’ll not be watermarking these or making any other kind identifying mark. 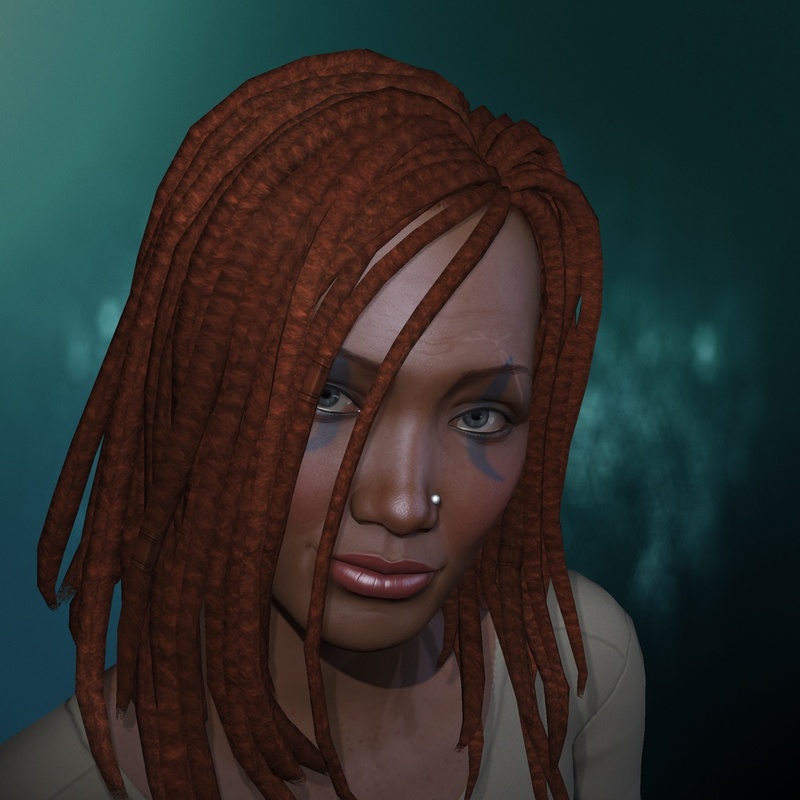 We want this to be a public, creative commons license for all to enjoy as they see fit. If you have an issue with that, then don’t submit. I will be creating an album for each astrophotographer, so your work will be associated with you, and I’ll be adding “by pilot name” to the title. I’m not going to be too critical, so please don’t be afraid to submit an image. There’s only one scenario that I’ll flat out refuse and that’s if the GUI is showing. If that’s the case, see if you can trim the image down, cutting the GUI out, then submit it. If requested, I’m happy to provide feedback and if I do reject an image, I will be sure to let you know why. We’ll be housing the gallery on Flickr, then submitting the best to Tumblr and Twitter. To submit your work, please email a link from a location you’ve stored the image such as Imgur or Flickr. Imgur is easy to use and you don’t have to have an account! Include at a minimum the Title, Pilot name, and System Name (if possible). Optionally please send all the details you can so I can tag the image accordingly. Such as ship class, planet name, station name, etc. Please, I don’t have the time nor am I going to take the time to fill in any gaps. Don’t assume I’ll know what kind of ship it is or place or whatever. I just don’t have time. Please fill in as much as you can about the image. Once accepted, your image will be posted at our Flickr gallery, in our albums and our collections. Truly exceptional images will then be shared to our Observatory on Tumblr and Twitter on a regular basis, perhaps daily or weekly, depending. We’ll see how it goes. Below are a few images that recently won our kickstarter contest to get the Observatory going. I think our judges did an excellent job of picking some of our pilot’s best submitted works. 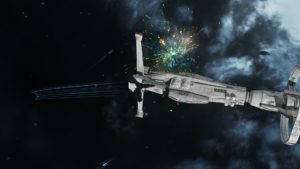 OOC: This week I’d like to share some updates on my pirate alt, favorite images from Tash-Murkon so far, and a couple of community highlights. For those that don’t know or haven’t figured it out yet, my alt Stray has become a noob pirate. I’ve joined the ranks of Stay Frosty and have to say I’m enjoying the experience so far. The corp contains a great group of folks, helpful, patient, and understanding of my silly questions. Kind of the opposite of what you’d expect from a group of pirates, huh? Yulp. To help you get into the spirit of things, this You Tube video was linked for our message of the day this last week. Alestorm – You Are a Pirate! It’ll be eleven years of playing EVE Online next month and would you believe I’ve never once PvP’d? Only once was blown-up and podded and that was by choice nearly six years ago, I think it was. (That’s a funny story I’ll have to share some time.) Yes, that’s right, HighSec carebear all of those years dabbling in just about everything except PvP. 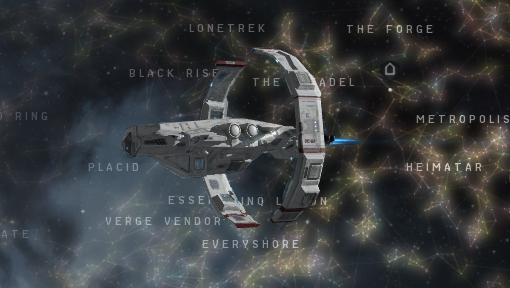 Granted, I’ve never been fearful of traveling into LowSec, but NullSec I’ve rarely jumped into. 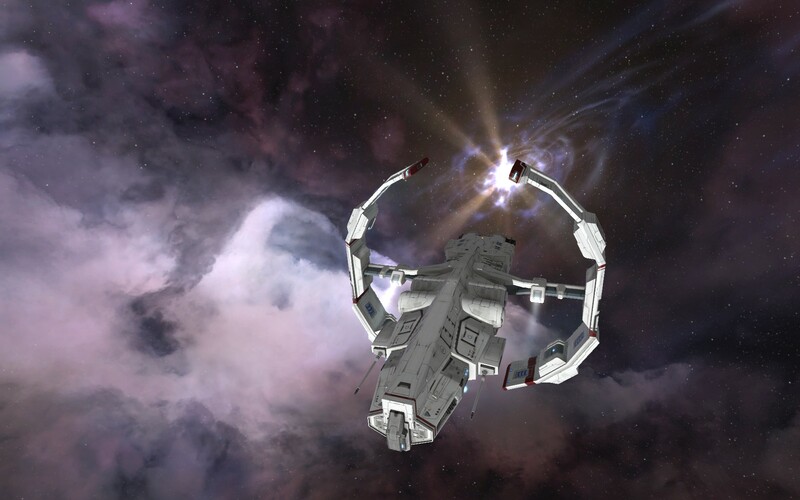 That’ll be changing soon too as Katia’s exploration will be done with Empire space as she continues her journey exploring New Eden one system at a time. Now, I have a -0.1 security status for the first time ever and Stray is on a killboard. Yarr! 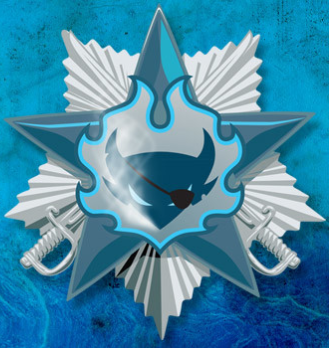 The negative status actually came about from my first Stay Frosty fleet as we shot up a POCO’s (Player Owned Customs Office) in our home system on our Corp birthday. I really wasn’t ready yet as I had just started training on the character, but how could I resist beginning my pirate career on the corp birthday. Afterwards, we went out on a romp in newbie ships for fun, but didn’t catch anything. Switched up to frigates and only had one catch for the day, which by the time I could even target them, they were destroyed. I’ve not had a chance to get back into action since, so I’ve mainly been skilling up, getting my overview setup, and acquiring/fitting 50 Tristans. Yesterday, Crossing Zebra’s was hosting a FFA (Free For All) in Hysera so I got 12 of my ships over there and had my first real PvP fun. And fun it was, lol. Learned a great deal. Like it’s a good idea to launch your drones for more damage. I forgot a couple of times! Also, I learned real quick that “Escape” tab I setup was very useful for getting my pod out quickly. Only lost one pod out of the 12 ships I lost. Got down to 12 structure on another pod, but got out just in time. Whew! Not that it really hurt losing the pod, as I’m still under 900,000 skill points. All in all, I learned how to read my overview, find targets, and I did get better and faster targeting, launching drones, pod escaping, etc. In particular, this fight was my favorite, because it started 1 on 1, was fun, I was losing but that was alright, then the destroyer came in and popped both of us. 🙁 Still, I got top damage dealer and it was a blast. No pun intended. 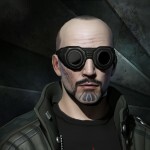 Alright, enough pirate talk, so let’s move onto a couple of community spotlights. First up, I’d like to introduce “Into the Ether – The many lives of Motoko Rei”. Motoko has been blogging for almost a year now and was recently inspired by my New Eden Cemetery post. He’s gone and explored the site as well and posted about his experience. Check it out, I think there’s an explorer’s heart there for sure and look forward to reading more about his journey through the cluster. 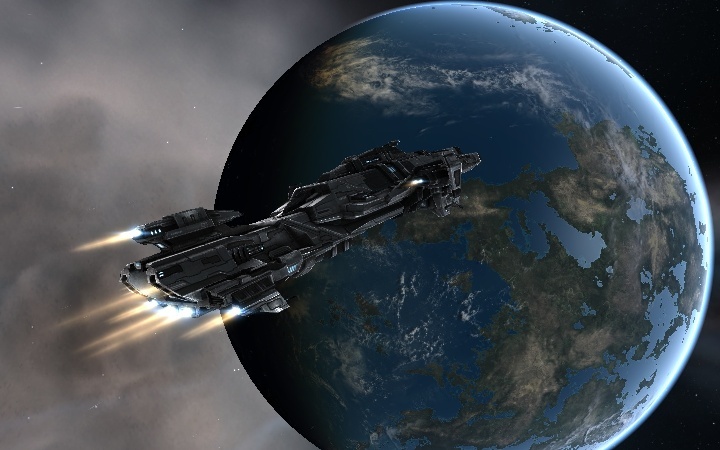 Coming up, next week I hope to post my first in a series entitled, “The Regions” where I will share favorite images, lore, stats, sites to see, and anything else I can come up with on each region I’ve explored so far in New Eden. That means The Forge will be highlighted first. 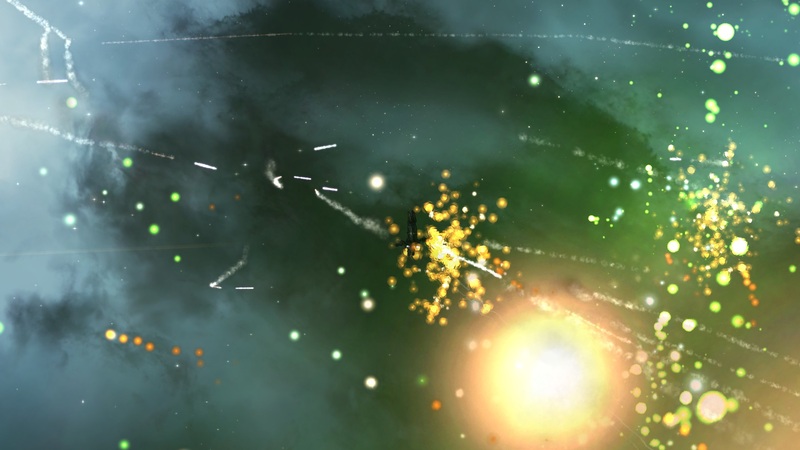 I’ve also got 7 other New Eden Explorer interviews lined up, including myself (I guess, lol). Until then, fly smart, fly safe!